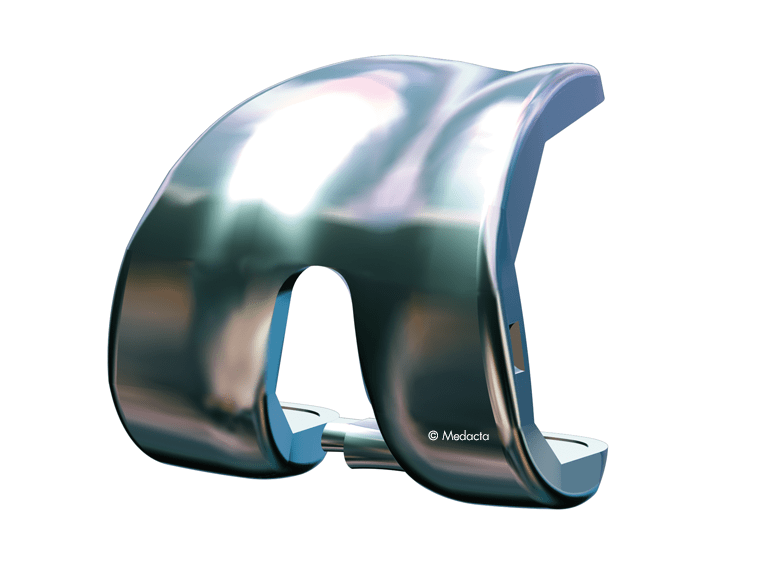 Evolis implant and instruments have been developed in collaboration with a group of experienced orthopaedic surgeons making possible to successfully realize thousands of knee arthroplasties worldwide, including Europe, USA, Australia and Japan. 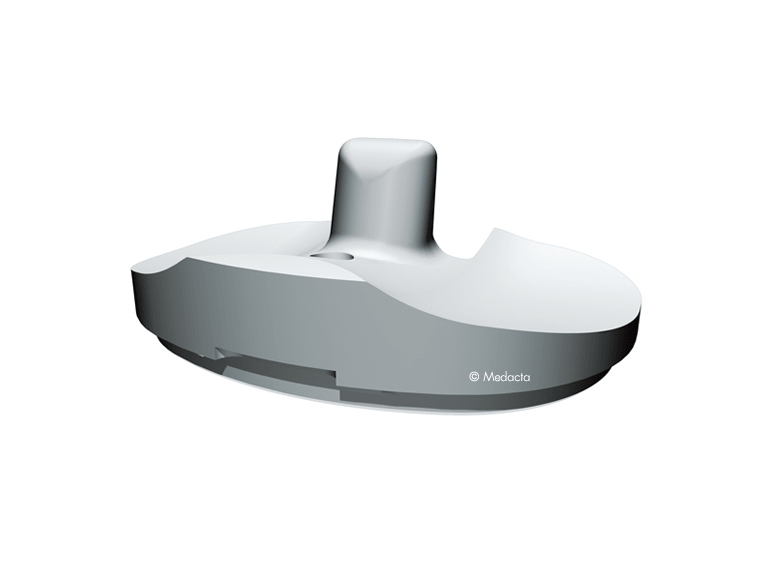 A compact, easy and well designed ancillary which allows an accurate, fast and reproducible surgical act, offering at the same time several operative choices as well as checks during surgery. 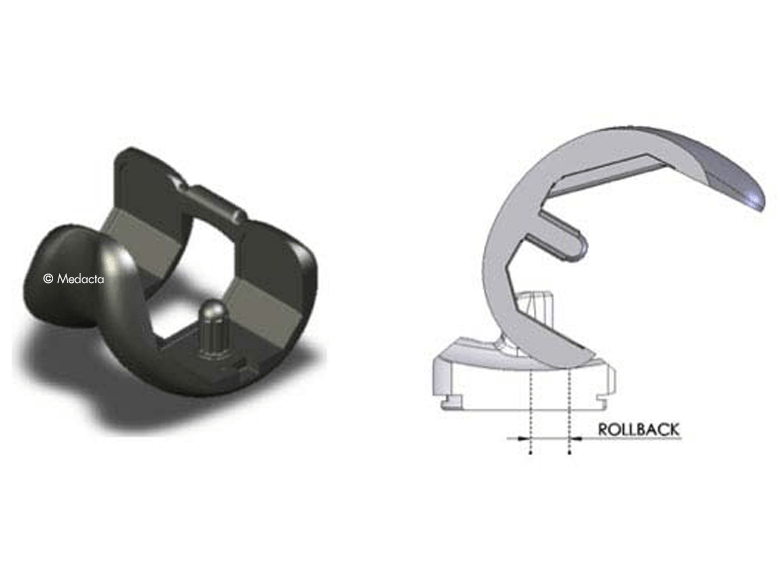 Both implant design and product range are the result of a morphometric study aimed at the optimization of bone-implant surfaces. The choice of common profiles allows interchangeability of the sizes without compromising on maximal metal - polyethylene contact surfaces. 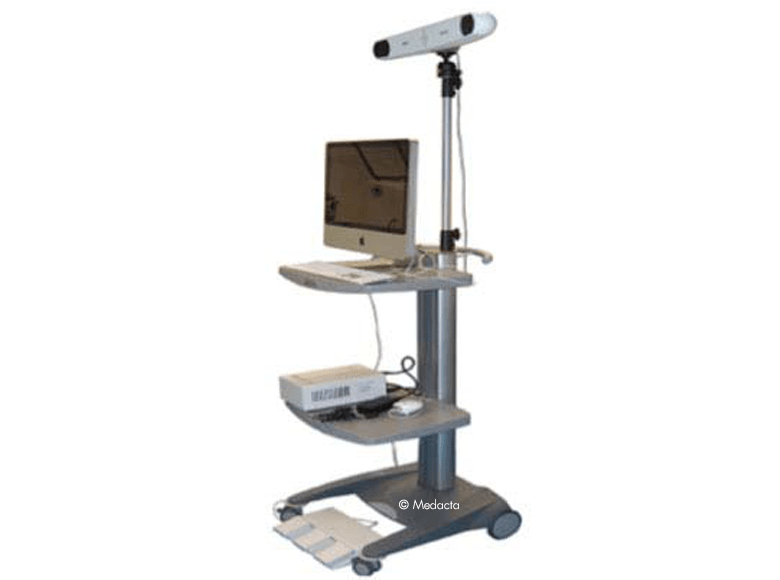 The posterior-stabilized femoral component is completely box less, thus preserving as much bone as possible. 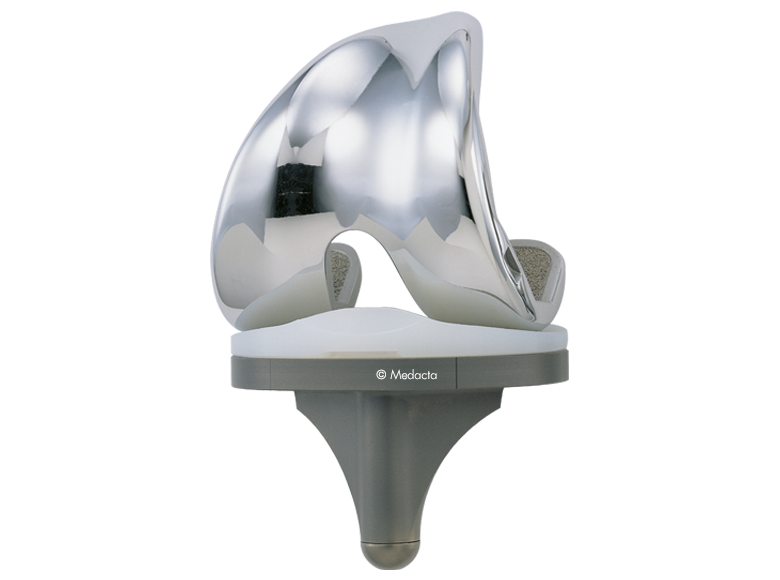 The 4° sloped anterior cut creates a wedge effect that improves primary stability and reduce the risk of anterior notching. 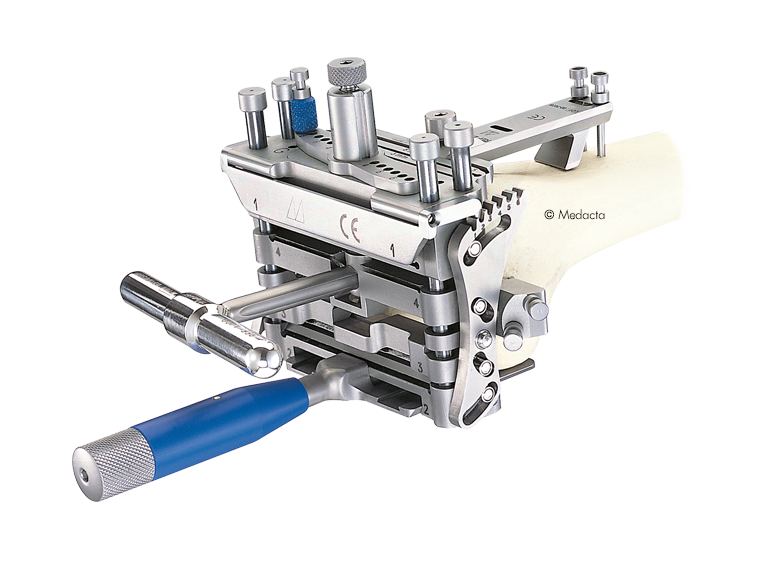 The inlay clipping mechanism assures time-effective and safe implantation avoiding sliding, deformation and risk of dislocation. 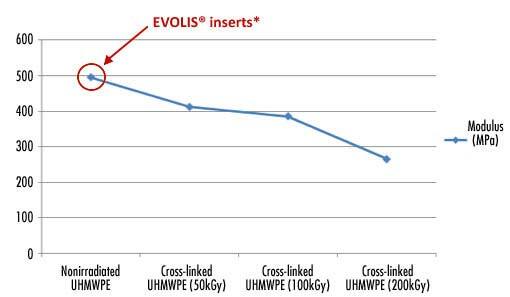 Thanks to the wide size matching between femoral and tibial component, Evolis provides to the surgeon a big flexibility in obtaining the maximum bone coverage without compromises. 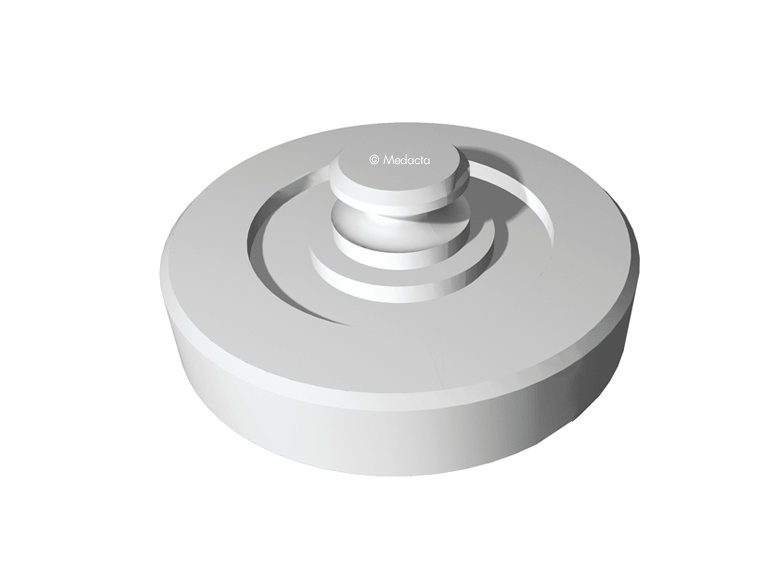 The Evolis polyethylene inserts, as all the Medacta GMK tibial inserts, do not undergo any irradiation or thermal process that can affect the mechanical properties and the oxidative stability of the material. 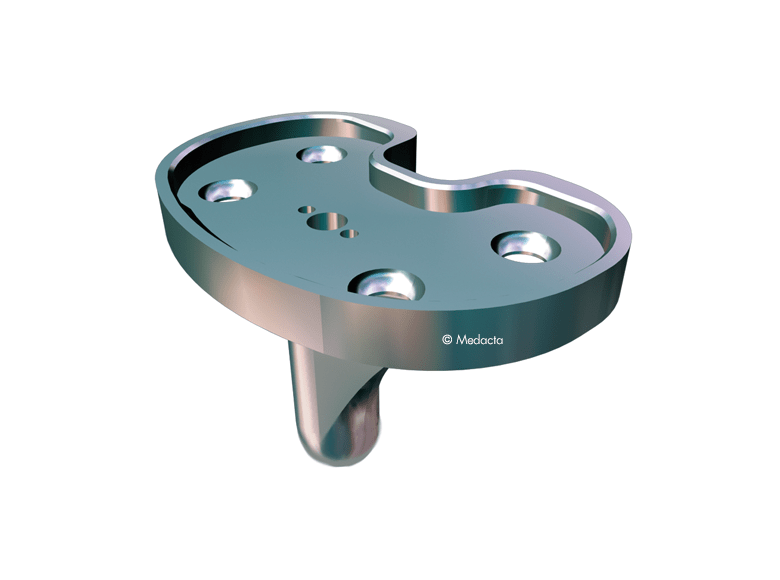 This ensures the best maintenance of mechanical properties which is crucial to reduce the delamination process , the main cause of polyethylene failure in total knee arthroplasty. 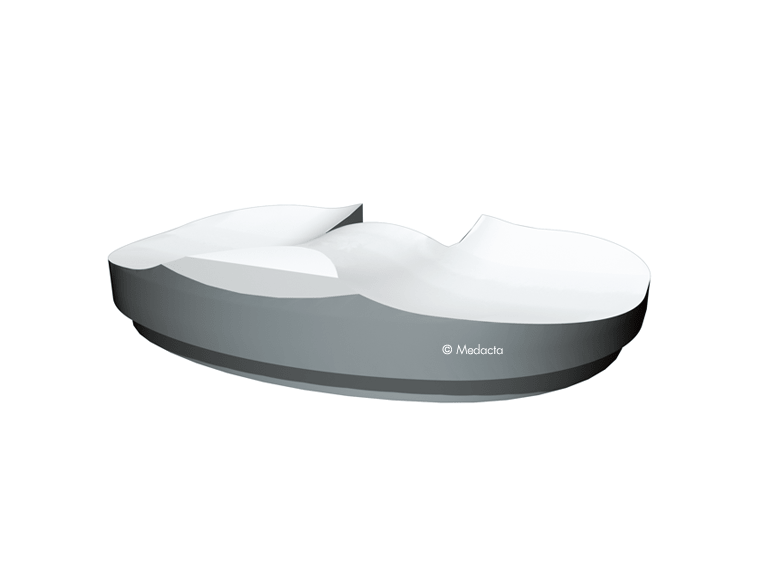 *The value refers to a non-irradiated polyethylene with characteristics similar to those of GMK inserts polyethylene. 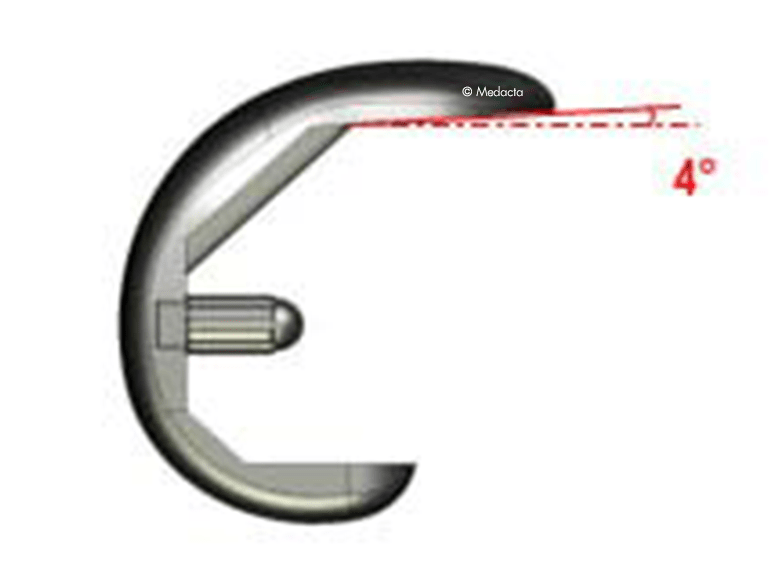 Figure 1: Modulus (defined as the ratio of tensile stress to tensile strain) for non-irradiated and cross-linked polyethylene. 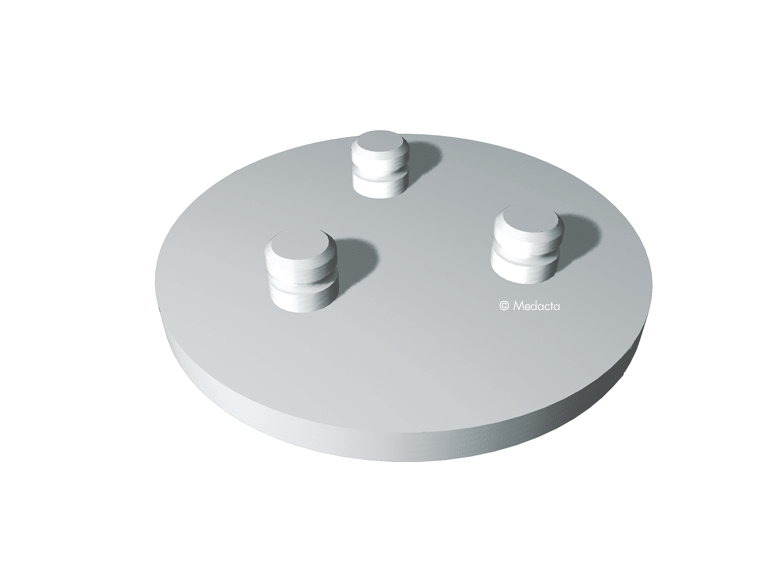 polyethylene was performed at 150°C. 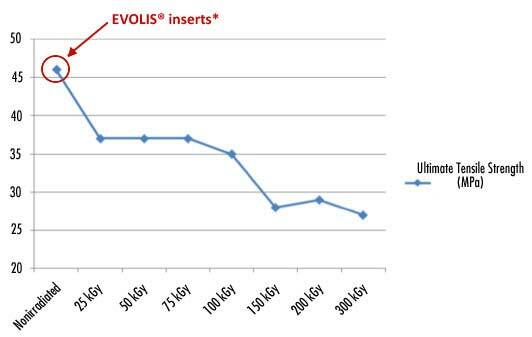 Adapted from Muratoglu et al. .
*The value refers to a non-irradiated polyethylene with characteristics similar to those of GMK® inserts polyethylene. cross-linked polyethylene was performed at 150°C. Adapted from Muratoglu et al. . 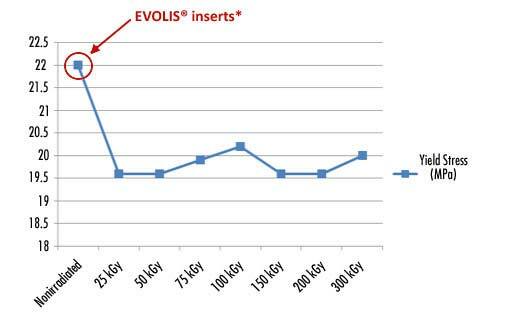 Reduced instrumentation: only 3 trays! 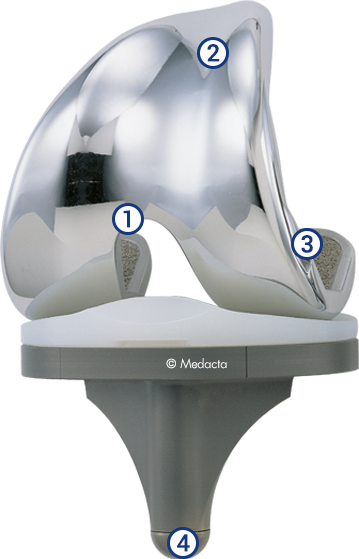 For tibial step, both intra- and extra-medullary options are available to match the preferences of every surgeon. 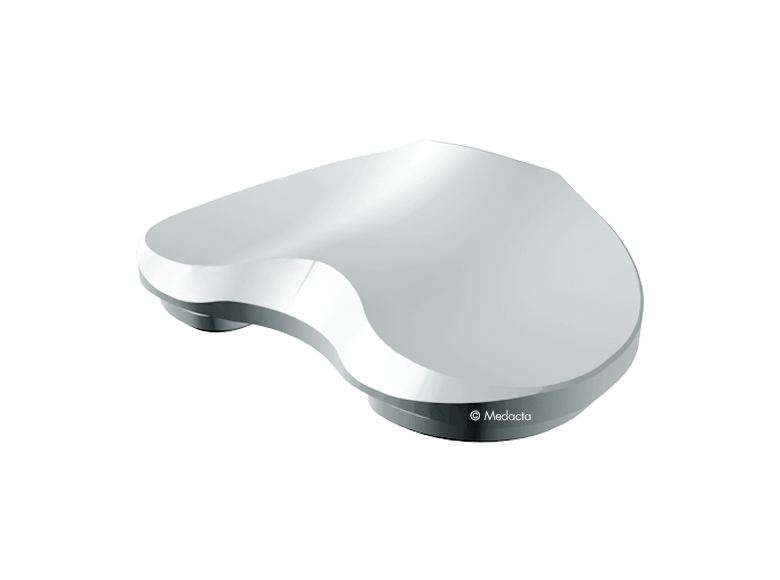 As the GMK and Evolis femoral internal profiles are the same, the Evolis 30in1 cutting block is available as an additional option to implant GMK PRIMARY.